Happy Wednesday! 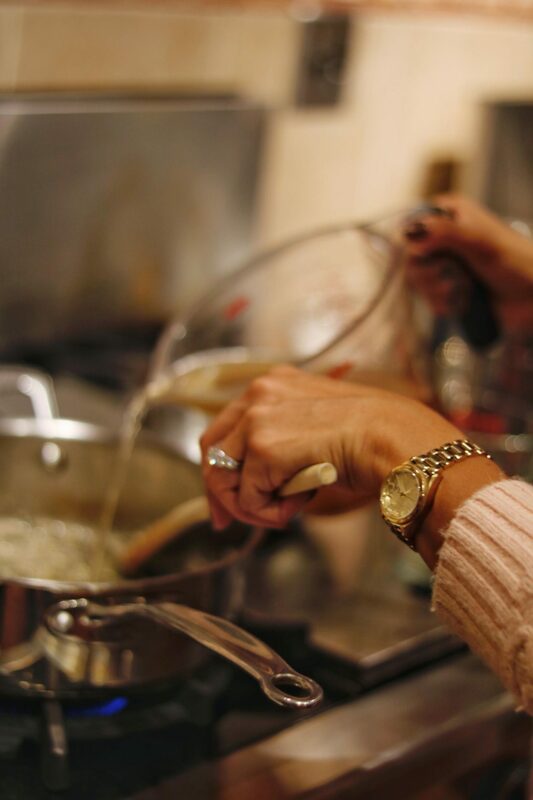 Last week, I had the pleasure of joining forces with some local NYC fashionista’s to enjoy an evening of rustic Italian cooking lessons with Mamma Mia wine! I shared a bit of the festivities on Facebook Live in 2 parts, so feel free to learn more about the brand there as well. 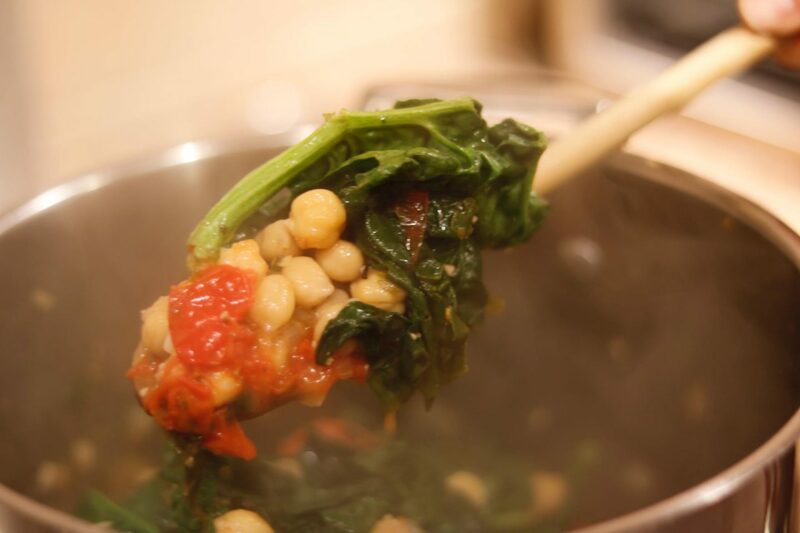 As a Mom, I love to cook (luckily, so does my husband!) and when it’s time for us to wind down as grown-ups (without our little guy), we love a good bottle of wine. And when I’m out with my girlfriends, enjoying a glass is always a good idea too! That’s what this fun night was exactly all about. The benefit? 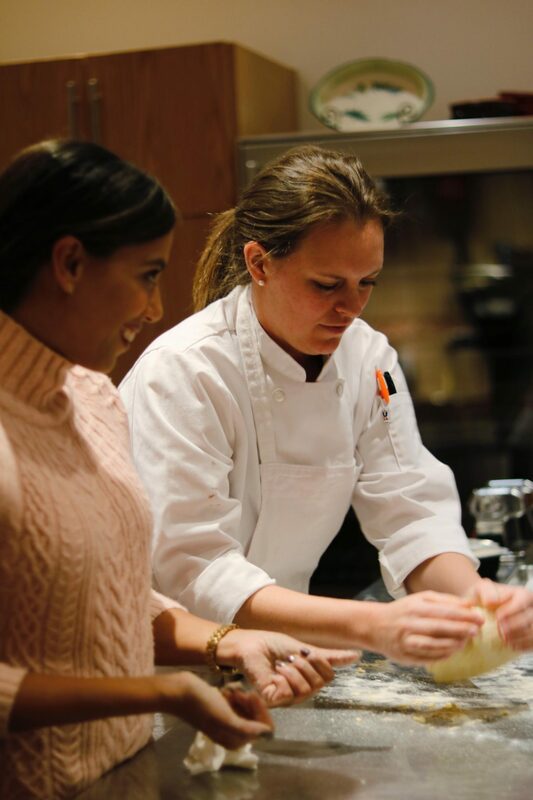 Enjoying a rustic cooking lesson at Rustico Cooking, founded by famed chef and James Beard-nominated cookbook author, Micol Negrin. 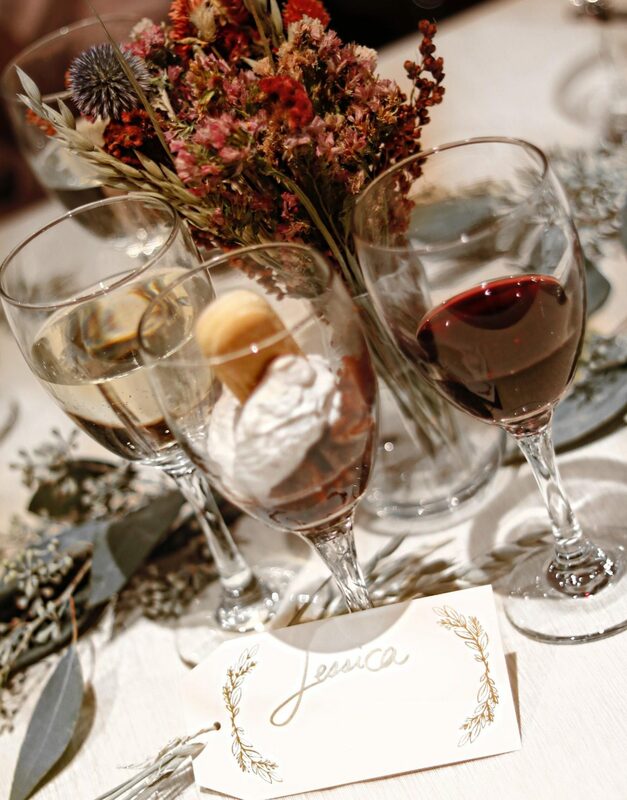 With the holidays approaching, I thought I’d share some of my favorite moments from the evening for some major decor, food and wine inspiration. If you’d like the recipes to these delicious dishes, simply drop your email here for our newsletter, and we’ll be sending a special one out very soon with all the details to our subscribers! 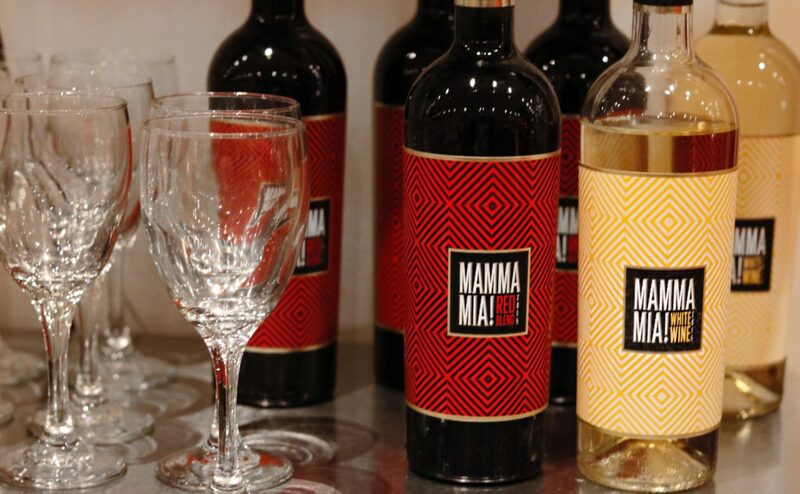 We started the evening with some white wine from Mamma Mia. 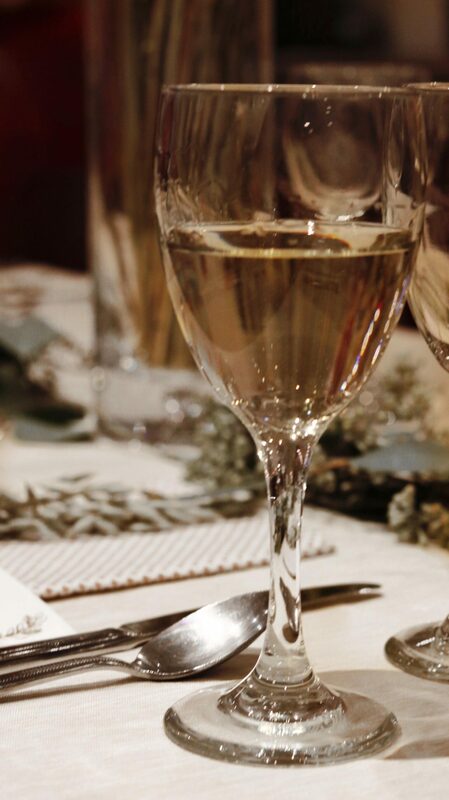 Its crisp and floral notes definitely were the perfect start to our amuse-bouche and the start of the cooking lesson. 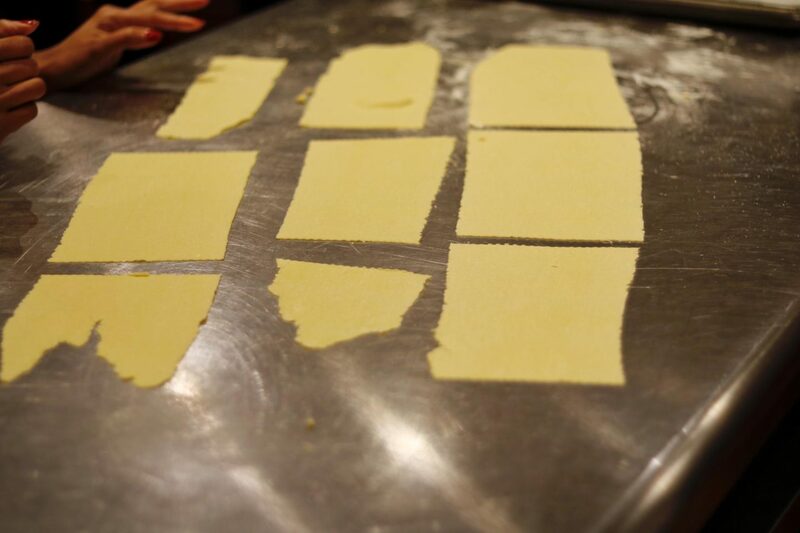 Our chef shared that we would be making everything from scratch, including pasta, which I was so thrilled to do! 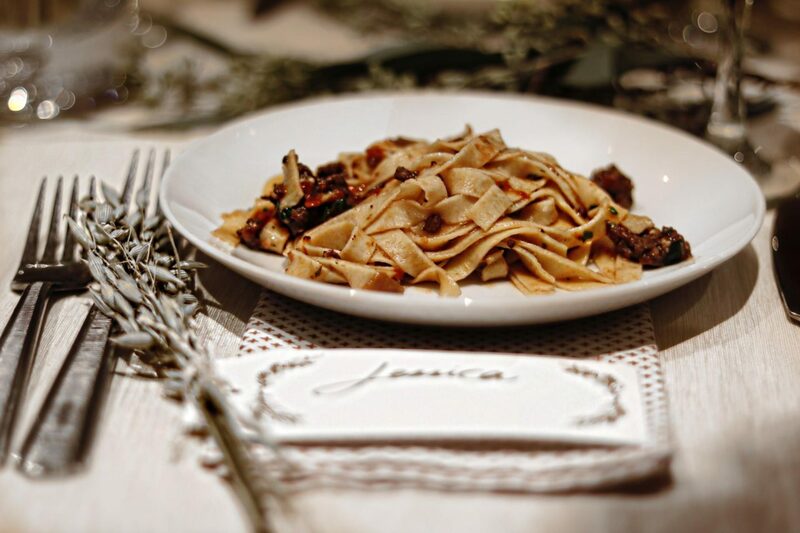 For our appetizer, we enjoyed a small dish of Tagliatelle with Two-Meat Ragu. It was so perfectly done (if I do say so myself!). 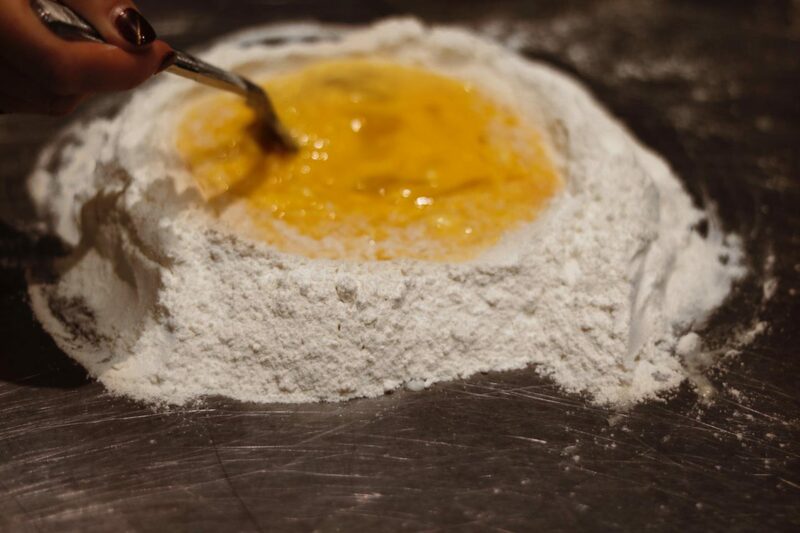 It was such a joy to make the pasta from a basic flour and egg mix and see it through to the final plating for all of us to enjoy! 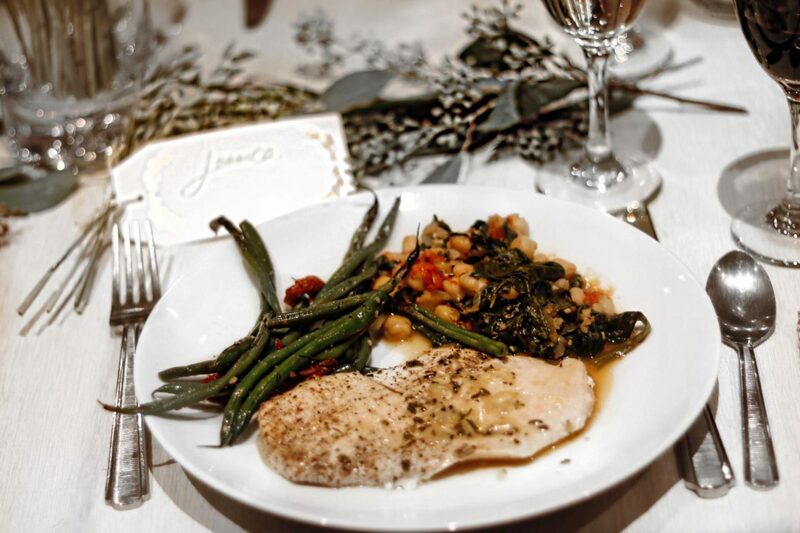 For our main course, we had Chicken Scaloppine with Lemon-White Wine Glaze. 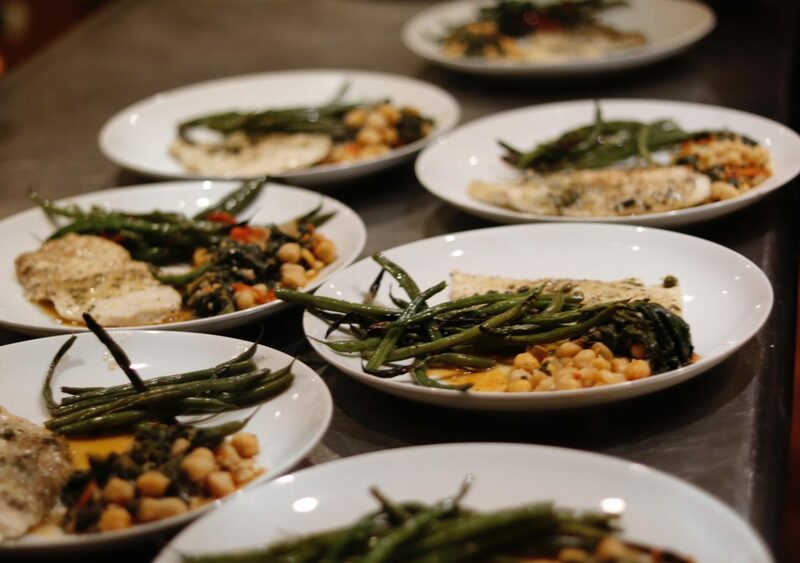 As our sides, we made Roasted String Beans with Sundried Tomatoes and Fresh Thyme along with Braised Chickpeas with Spinach and Chili. 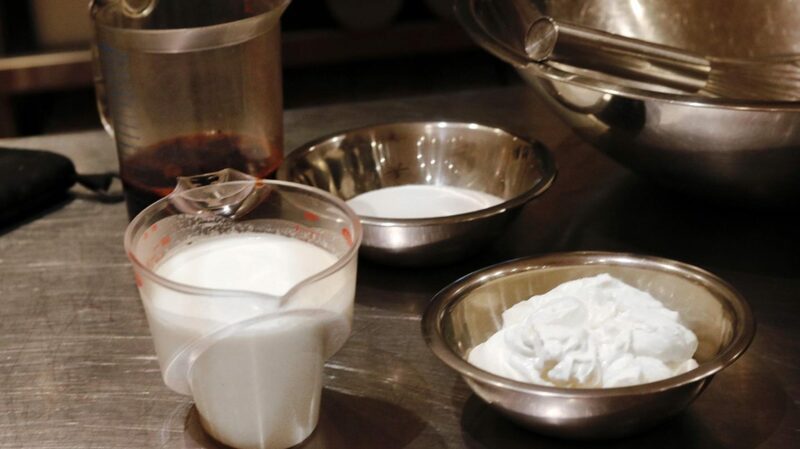 With very few ingredients, we made Wine-Poached Fruit over Wine-Laced Mascarpone Mousse. Our dessert was simple, but perfectly ended the evening. 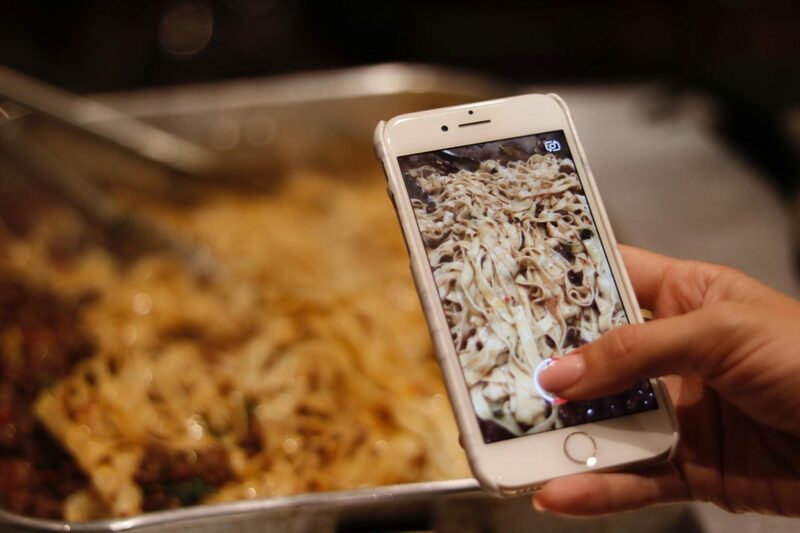 Are you hungry yet? 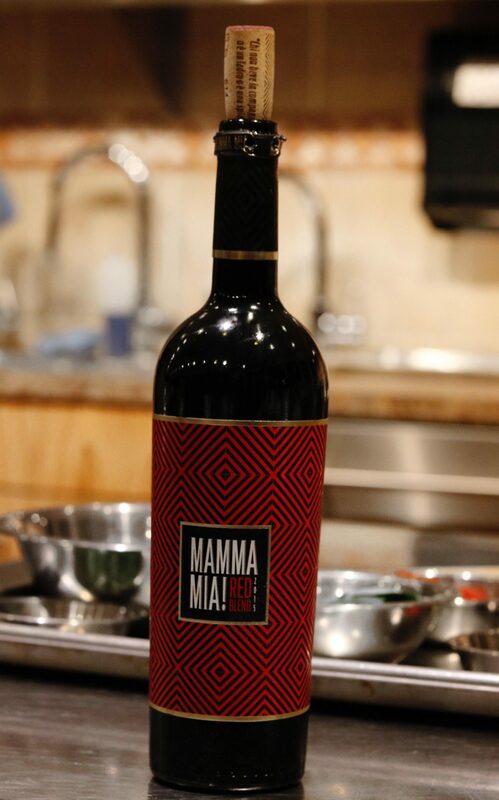 We definitely were and enjoyed the entire meal from beginning to end with Mamma Mia wines. 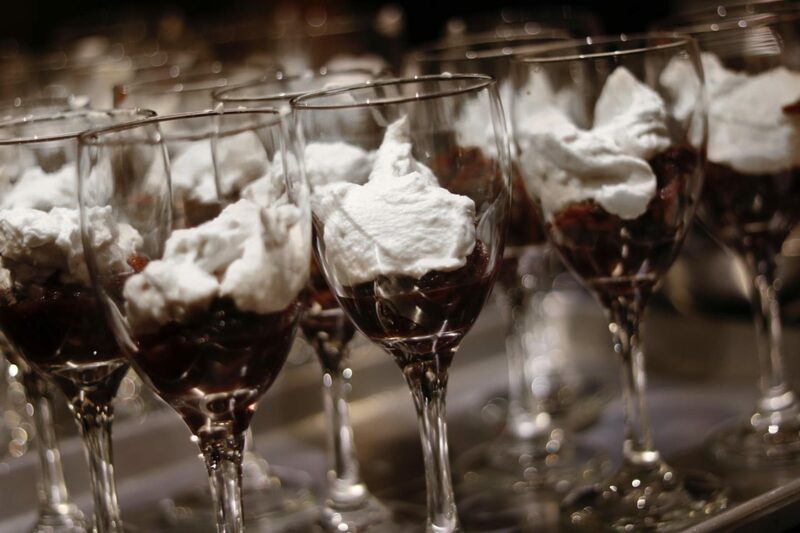 The red was perfect for the dessert, as it was fruity and earthy. 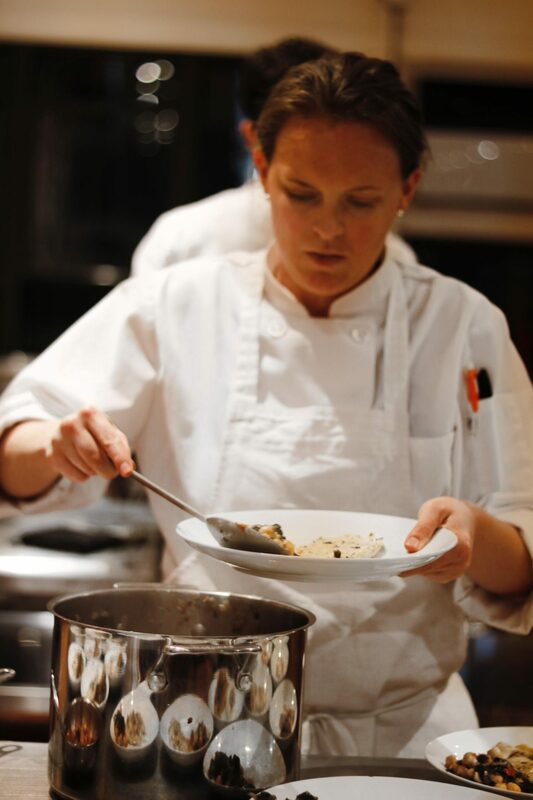 I loved all the kitchen tools we got to use, so I’m sharing them below as you start to plan your own menus for the upcoming holiday dinners! I know I’ll be making this entire meal again because I do love a great rustic Italian dish, wine, great company…and kitchen tools! 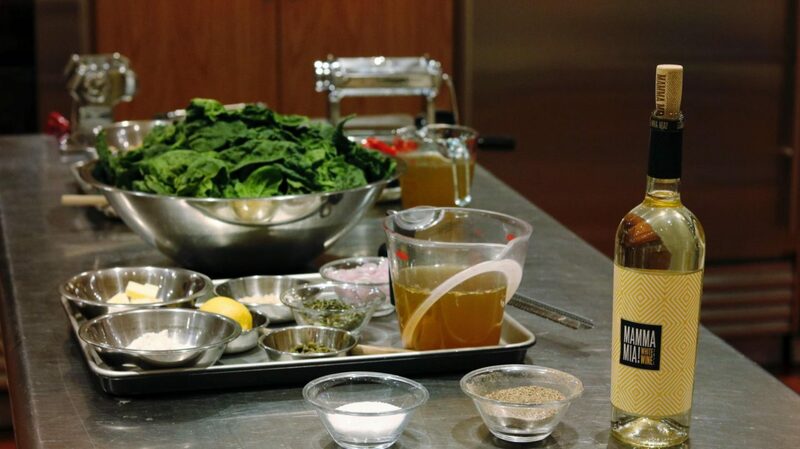 What’s your favorite meal to cook and wine to drink? Let us know! Happy Sunday! I hope you are gearing up for a fun Halloween as much as we are! While my theatrical obsession with Hamilton – The Musical is very real (theatre teacher here! 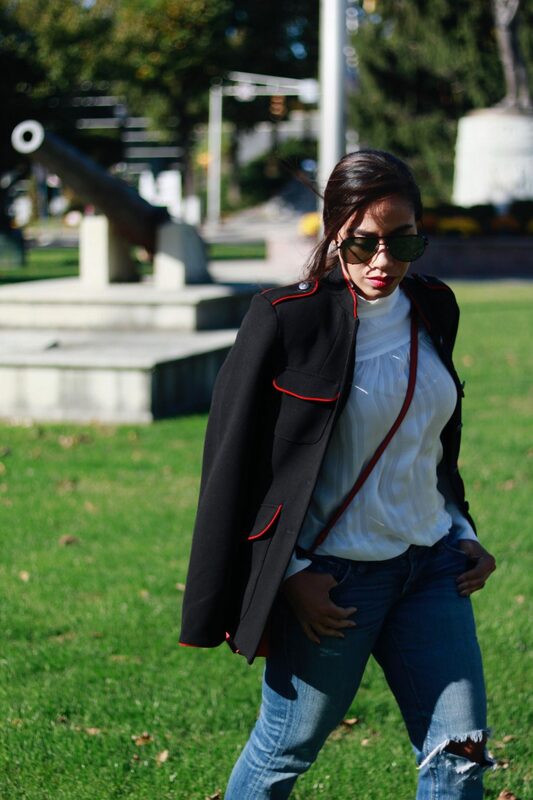 ), it’s become obvious the fashion industry has taken notice of the theatrical phenomenon and have embraced military jackets and ruffle collars again in their fall/winter collections. I’m all up for the look as it speaks to my personal love for getting into costume or just making the ordinary jacket and top a bit more interesting. I think the challenge to styling a military jacket can be that it may look a bit like a costume (hello Halloween! ), but I encourage you to embrace it. 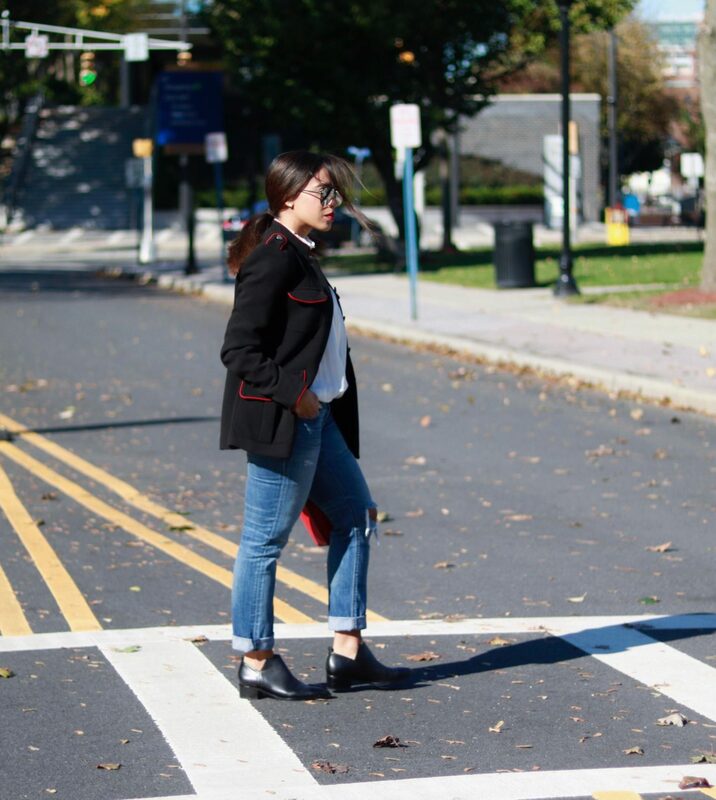 Make the rest of the look casual and simple – as I did here with jeans and flats – and you’re safely not looking like you belong in a theatre production. 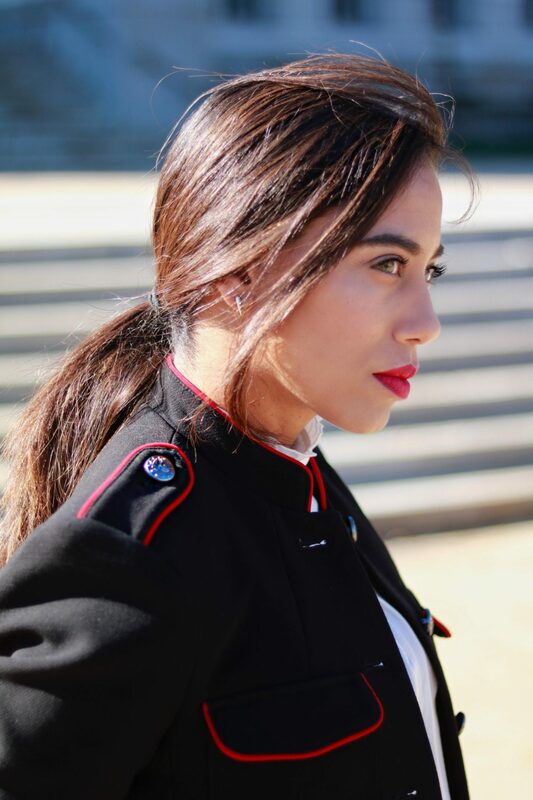 I love the pops of red piping on this jacket as it adds some dimension and gives you a reason for adding that perfect red lip to your makeup for the day! There are some beautiful ruffle collar tops this fall season, but I wanted to keep the look simple with only a hint of ruffle at the edge of the collar. 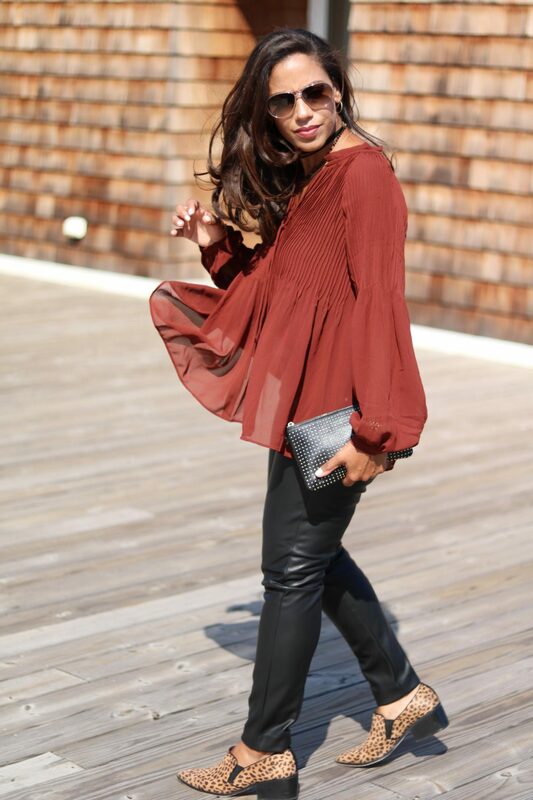 But if you are bold, take a look at some of my other favorite ruffle collar tops below! By adding oversized shades for bit of edge, I felt my ode to Hamilton and the fashionista inside of me was complete! Are you obsessed with Hamilton – The Musical as much as I am? Sound the alarm below in the comments! And if you decide to embrace the military jacket – let me know! Use #TSGoldInspired on Twitter or Instagram! I’d love to see how you style your looks! Thank you for stopping by! Happy Friday! We made it through another week! As I look at my camera roll and all the photos I have from New York Fashion Week and events I’ve attended from Lulu’s Style Studio to Agatha Ruiz de la Prada to The Toy Insider, I feel there is so much catching up to do! Hopefully you were able to catch everything in real time from my Insta-stories or Snapchat (like meeting Simon Biles! Ah!) I just can’t believe we are about to enter October! Time flew by, don’t you think? The changing season is always a good time to reflect and make shifts in what matters most to you and what doesn’t. I know that this is the time of year where I am thinking of my daughter often and the triggers of the fall colors and crisp air make it much more difficult to move through each day with ease. But I carry on and I get dressed and smile and know that everyday I can put myself together is another day I am stronger for my son, my family and my own heart. My favorite way to wear colors as we transition into fall is to think about what I see in nature. We still can see so much green in some areas by New York City, but it’s those first few maple trees that start turning red that inspired me for this look. 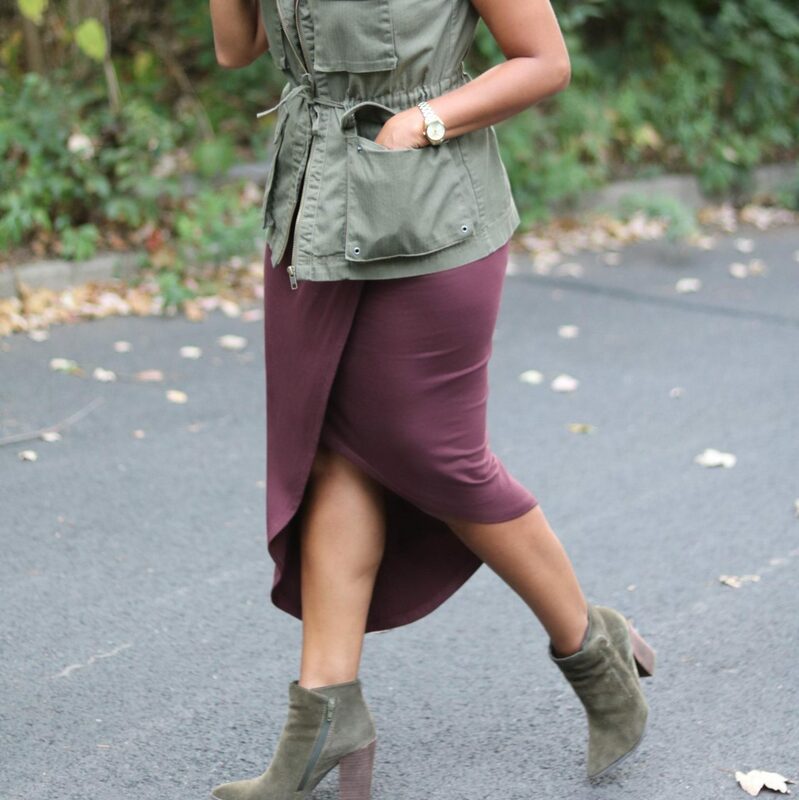 The ease of a sleeveless wrap dress makes it perfect to wear alone, with a vest, or even with a long sweater on cooler days making it a great transition piece to have in your closet. When you’re mixing two different colors (color-blocking, if you will), I like to find those that compliment each other in ways we would find in the world around us. 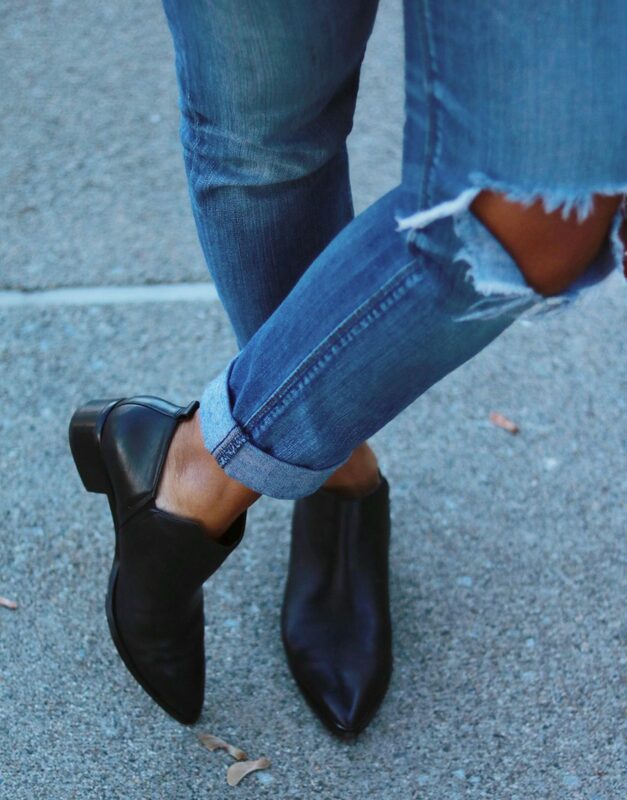 And finding the perfect ankle boots is a great way to play with color for fall! 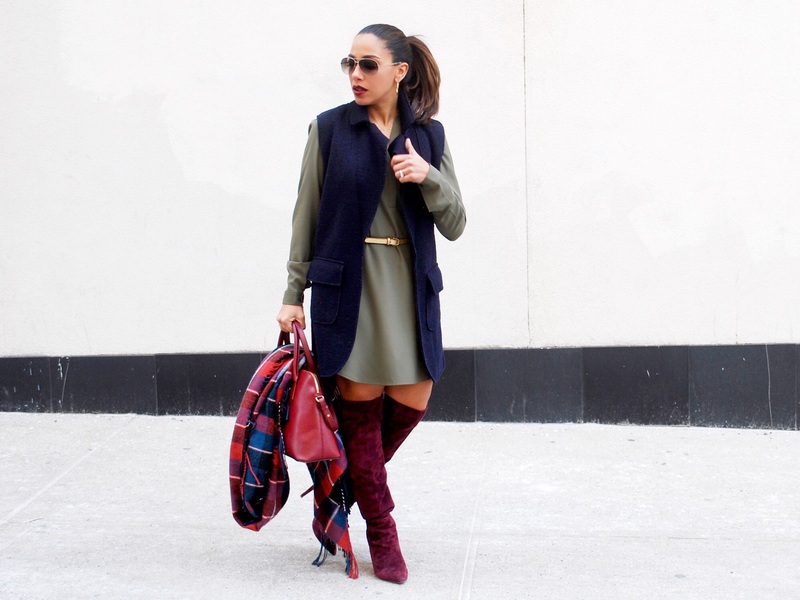 A rustic green or brown ankle boot gives you the freedom to play with color in your wardrobe while not committing to an entire look in color or in a full length boot. Wearing a mix of deep red and green is a nod to the upcoming holiday season; and we know how quickly that will get here! What are some of your favorite colors to wear for fall? Let me know in the comments below! 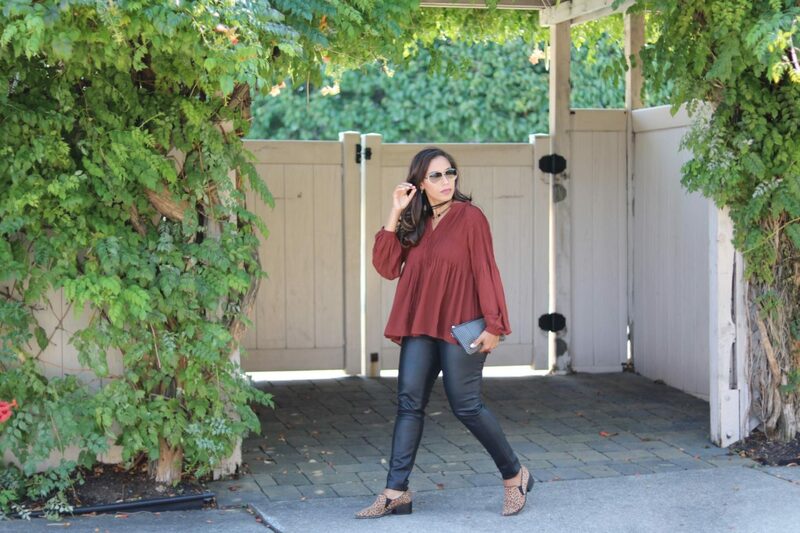 Here’s some inspiration to wearing my favorite fall colors this season! This September has whizzed by, and I feel like it has all been a dream! 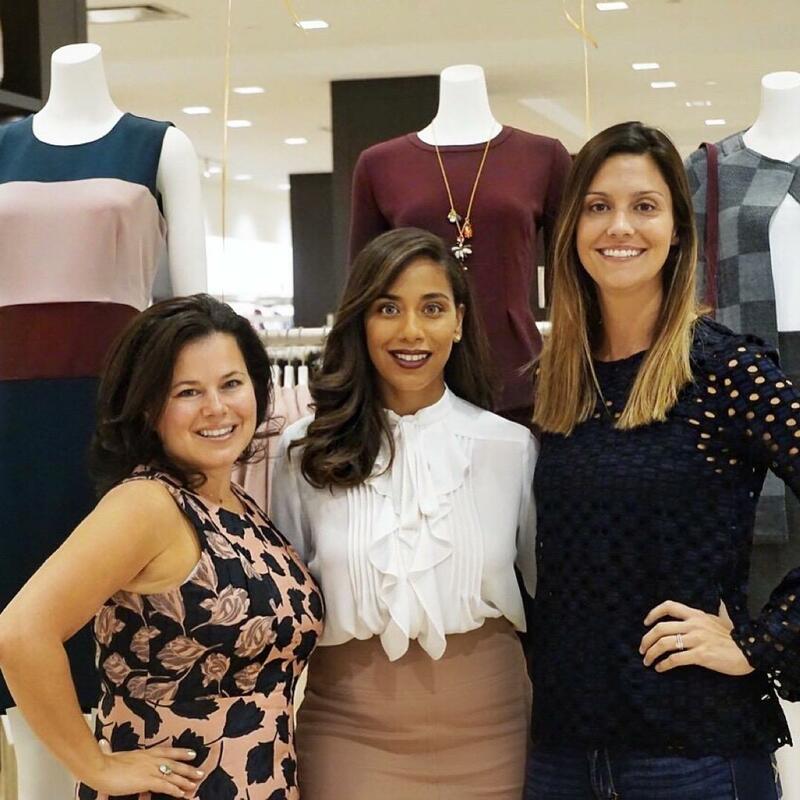 From the start of the school year to New York Fashion Week to my Ann Taylor event in NJ and now my upcoming birthday, my ability to write about all the excitement took some time. But I’m happily ready to share all about it! As part of my Sunday Favorites series, I have to talk about the new Fall collection at Ann Taylor. I am absolutely in love with their blouses. 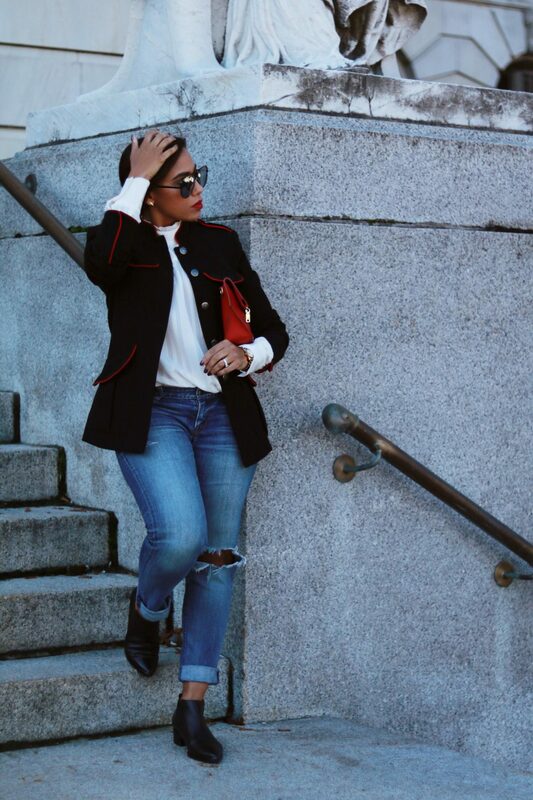 All of their classic tailored pieces bring such elegance and a bit of edge to any look you put together. 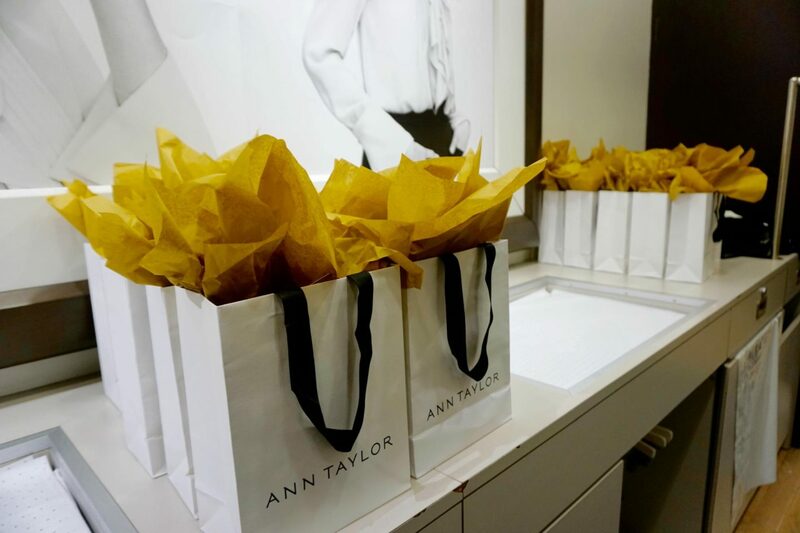 It was such an honor to collaborate with Ann Taylor for a style event at Garden State Plaza in New Jersey to meet so many of my followers and friends. I shared the event on all of my social media, so if you’d like to be a part of my next meet & greet or style event, follow us on Facebook, Instagram, Twitter, and Snapchat to be the first to know! 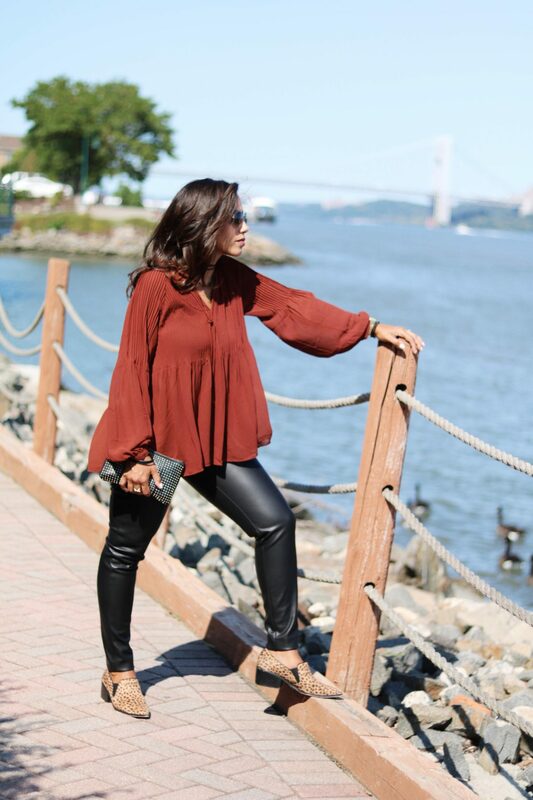 One of my favorite colors for fall is burgundy! I love the warmth and richness of the color up against the hues of the changing season. I’m also convinced (and partly because I’m a theatre teacher) that the ruffles, thin pleats and loose fitting blouses for fall are an ode to the immensely successful Broadway show Hamilton. (Then again, it may just be that I want to look like I can be in the show!) Hope you enjoy the styling, pics from the event, and my favorite dreamy blouses from Ann Taylor! Happy August! How did we already get to the last days of Summer? We’ve just returned from our vacation and are getting ready to return to school. It’s a busy time for us all and I actually get a little anxious about it. It always feels like there never is enough time to sort out all of the shopping, planning, and organizing I totally thought I was going to get done when school was over in June. But here we are at the start of another school year and while I did accomplish quite a bit, the “to-do” list just keeps growing! Now I’m not always a fan of wearing all black in the summer, but if there is something special about a piece I’m happy to give in, like this simple and classic dress. I’ve seen plenty of off the shoulder looks this summer, and I’m definitely wearing plenty of those looks as seen here and here. But one way to play with the idea of the off the shoulder trend as we head into the early start of the Fall season (yes, I know!) is the shoulder cutout, and this LBD is definitely the perfect version of it. 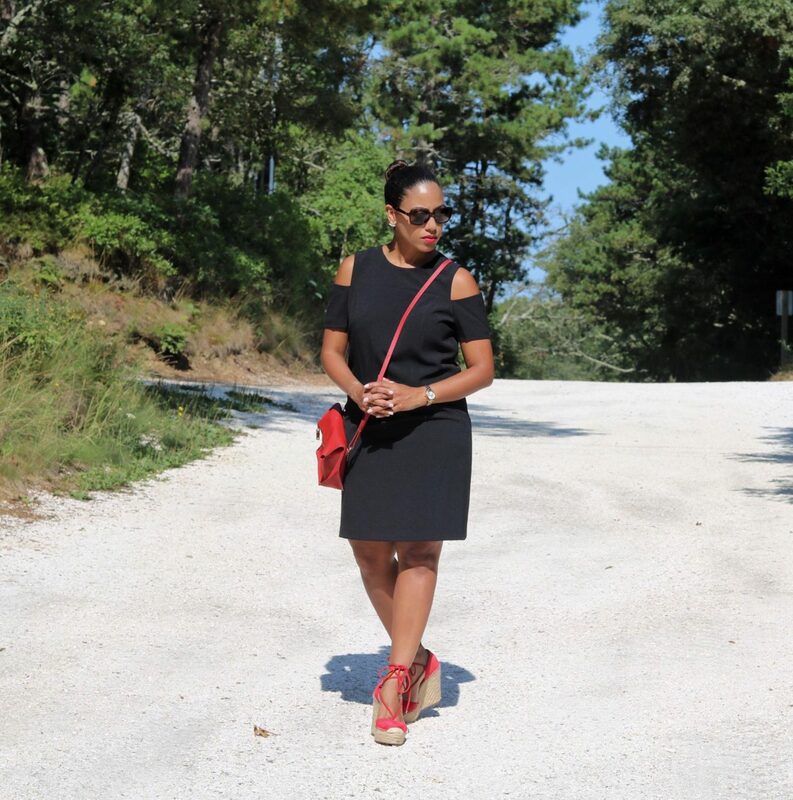 For summer, I wanted to wear this dress casually by adding a pop of red on the lip along with the bag and shoes. 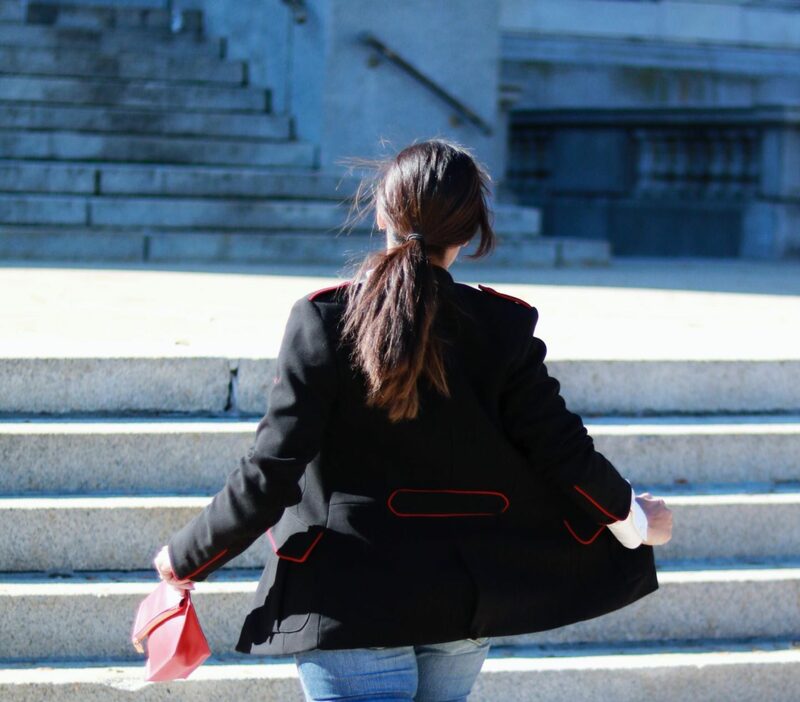 However, I can easily dress it up as the cooler days start to creep in with a thrown over blazer, clutch and some gold accessories, or even adding a fuller skirt over the dress to create a third look from it. Hope you enjoy the styling and the start of the new month and week! 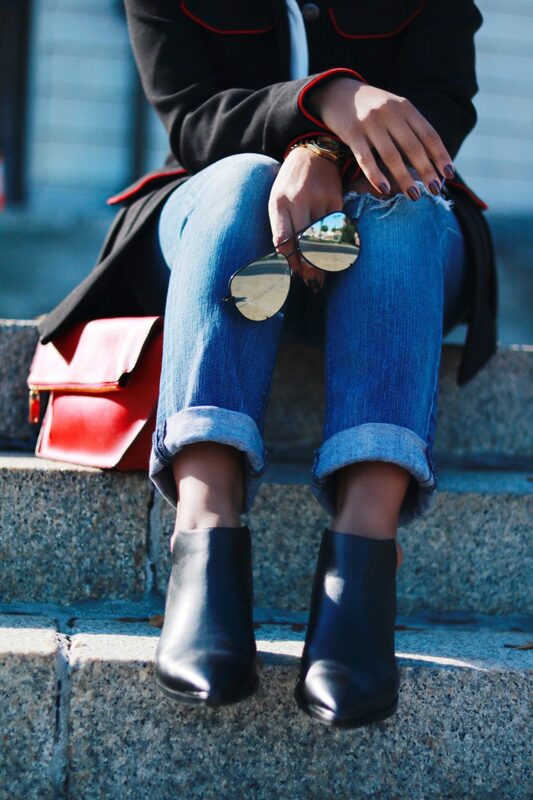 How do like to add a pop of red in your looks? We’d love to know and even try styling some of your ideas in an upcoming post! Tweet us or use #TSGoldInspired and let us know. It’s Tuesday, which means one day closer to the weekend! (It’s never too early!) I’m gearing up to share some fun and sunny posts from my recent trip to Florida, but being back home and still in cool weather, has me excited about styling camel and stripes because I’m enjoying wearing my blazer and long wool vest these days. 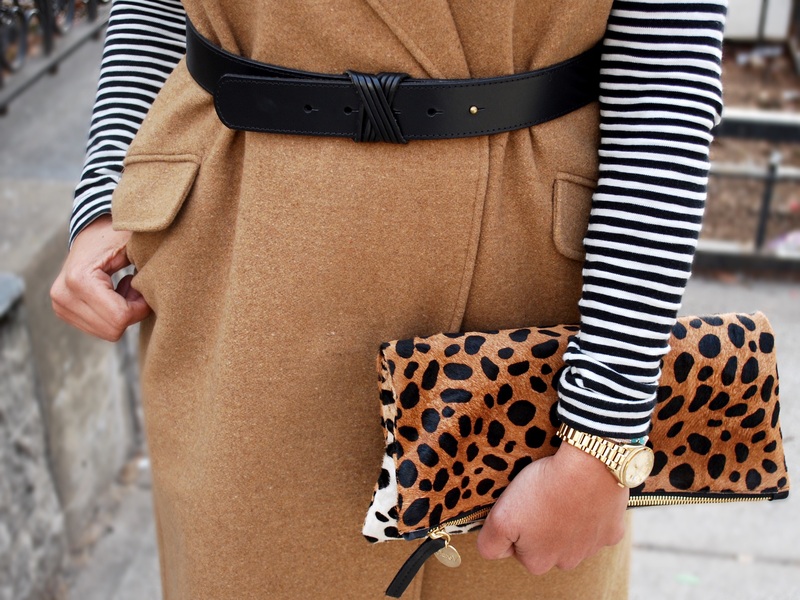 I love how natural and chic the combination looks no matter the color of the stripes. Since my teens, I had an obsession with anything striped in any color or combination (See what I mean? And here, and here!). 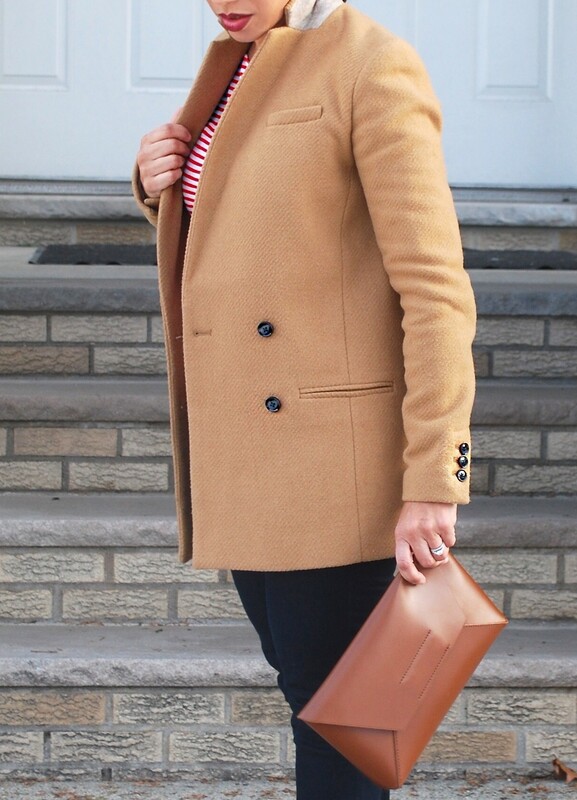 As a result, I’m sharing two looks today and some great pieces that would go perfect together to recreate the camel and stripes look for yourself. Hope you enjoy! I loved playing with the idea of making this coat vest into a dress. While I definitely needed to wear something underneath to keep warm (biker shorts! ), I originally bought this vest a bit larger than usual and liked the idea of cinching it up into a dress with a belt that closed with belt that had no loops. It kept the look slim when I already knew I had some bulk to contend with due to the thickness of the coat (which kept me warm too!) Playing with a heavier layer, the stripes and open sandals kept the look light (I took advantage of an oddly warmer winter day to pull this off!). I have been living in this double breasted blazer for more than I’d like to admit this winter. I found it on sale at Banana Republic, and it was the last one in store! I absolutely love it. Popping up the color to show the grey inset is my favorite part. Red stripes, red lips and red bottoms made this a perfect dress down Friday look to go from work to a night out with your girls. Happy Tuesday! I’ve been enjoying warmer weather and time with my boys and family at the happiest of places (Disney, as I’m still a kid at heart!) for Mr. E’s birthday! I can’t wait to share details and travel ideas from this long weekend. It feels good to smile and just enjoy time bonding with the special people I love. I think about heaven often and how my joy is a representation of my angel’s wish for us to be well and together. We enjoyed our Valentine’s day cooking and dancing and catching some sun! And while I know that NYC right now is experiencing some major cold right now and NYFW is in full swing, I thought I’d share some warm details in some of my favorite colors – olive, navy, and wine (seen here too!). Thank you for stopping by! How are you staying warm?